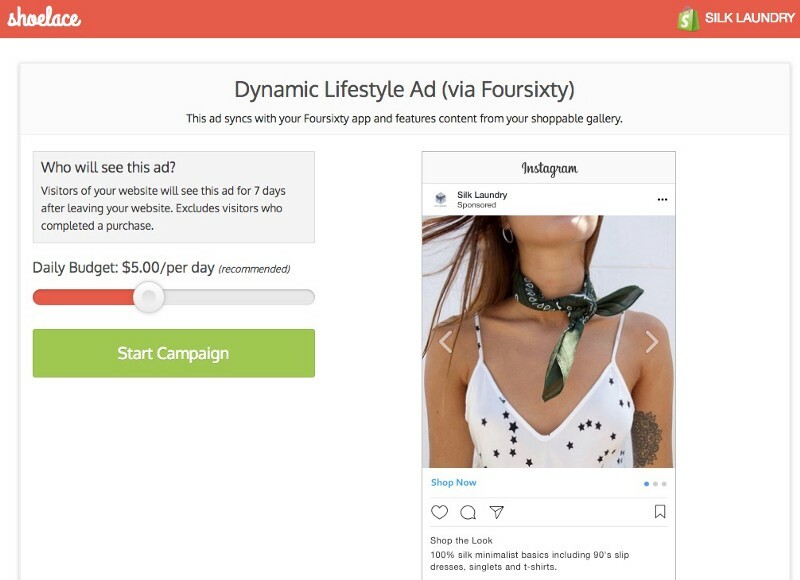 We are excited to announce our latest integration with the team at Foursixty to bring the power of lifestyle images to dynamic ad retargeting on Instagram and Facebook! 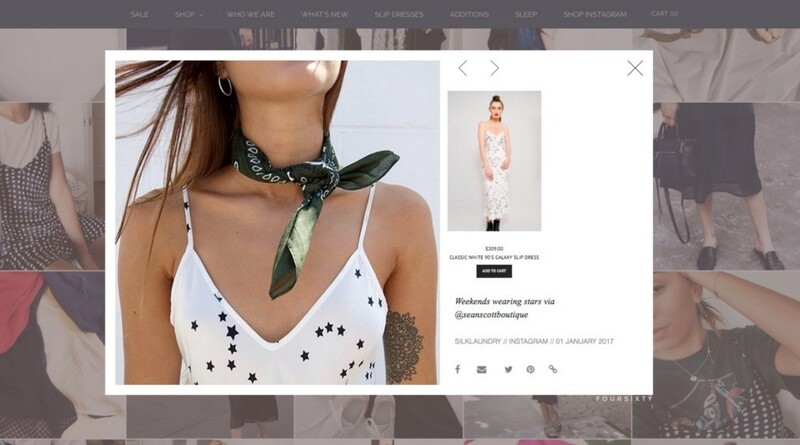 shoppable galleries for your online store. To see it in action, have a look at Pura Vida Bracelet’s shoppable gallery here. 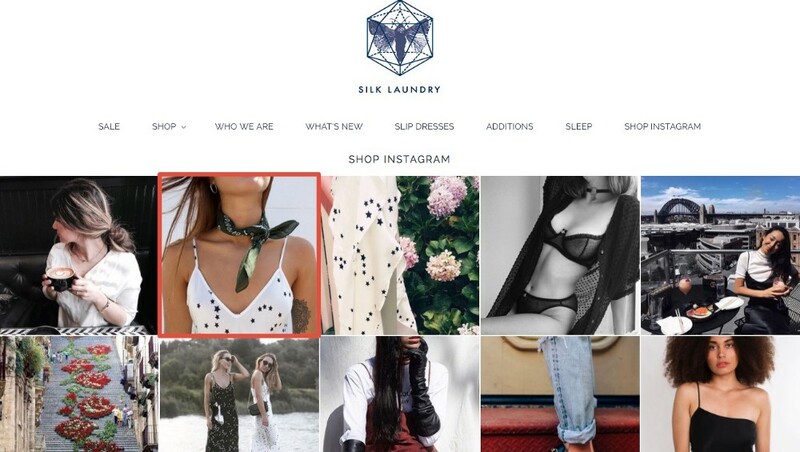 Shoelace pulls images from your Foursixty gallery, along with the associated products you’ve tagged in them. You will receive a preview of a ready-to-go dynamic lifestyle ad from Shoelace. Just hit Start Campaign to get things going! When a visitor clicks on the retargeting ad above, the landing page they are taken back to is the Foursixty “Shop the look” window featuring products from the Look they clicked on. 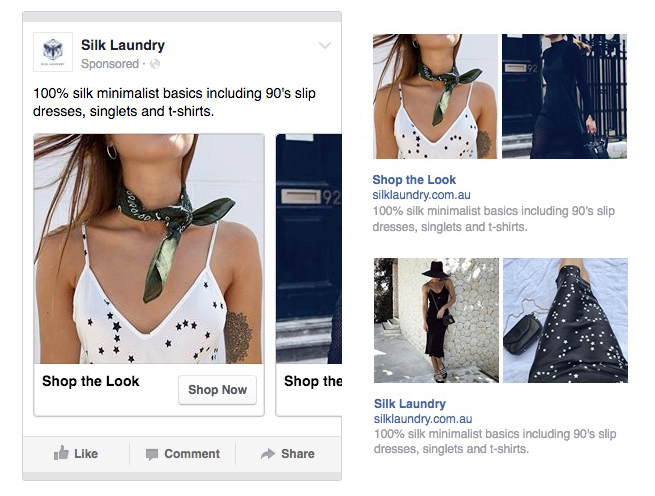 Lifestyle images are amazing for Facebook ads as well — not just Instagram. Shoelace will use this content for your retargeting ads on Facebook as well. Make sure you have both apps installed. Head over to the settings page in Shoelace and hit “Connect to Foursixty”. If you want an expert to take care of all of your brand’s retargeting, consider trying Shoelace today! Prices start at $199/month.